A graceful curve. A gift for birds. 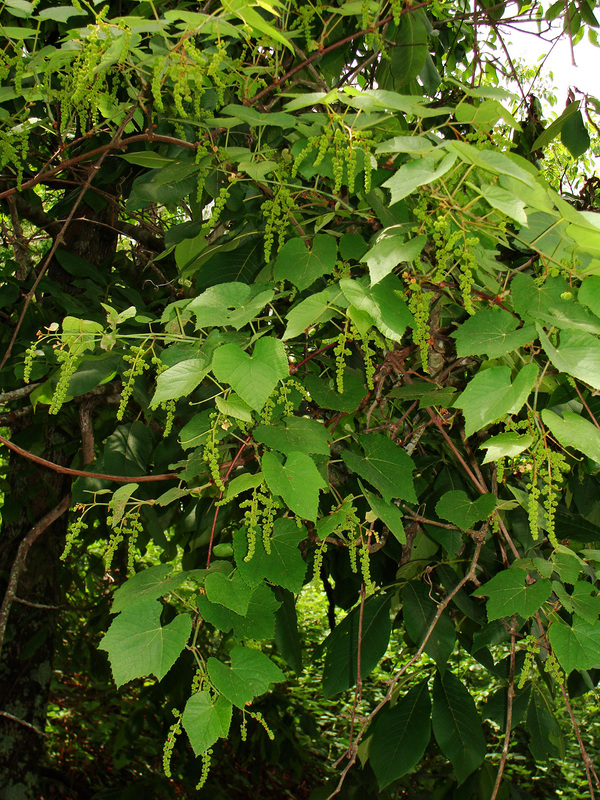 Wild grapes are abundant this year in the Ouachita woodlands. Their vines and tendrils seem to reach everywhere. 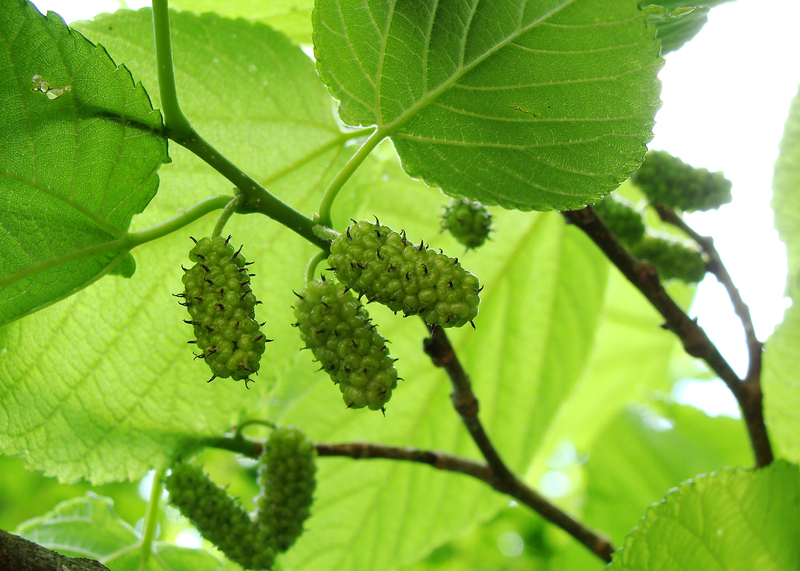 If drought doesn’t visit this summer, their berries will be blessing for wildlife this fall. 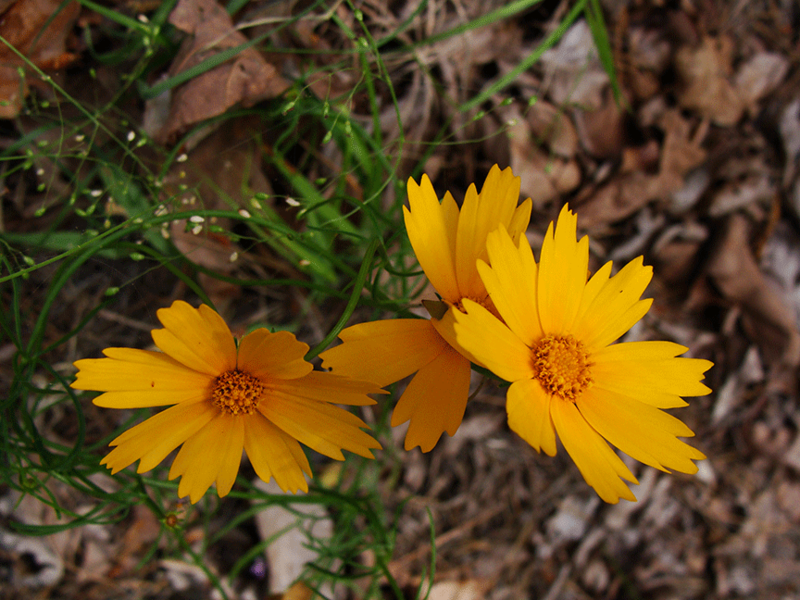 Following the deer trails this morning, these bright, chrome yellow coreopsis were like beacons in the shadow of the oak, hickory and pine canopy. Three bright coreopsis flowers straining for the sun. 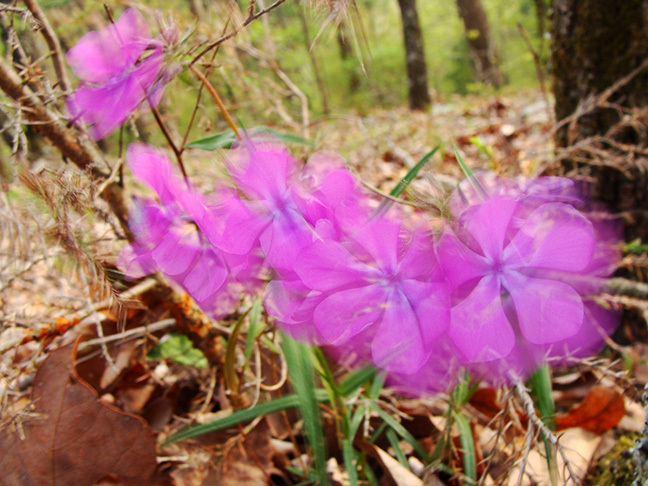 The bright pink of these wild phlox caught my eye while wandering around the deer trails in the Ouachita (pronounced “WASH’-ih-taw”) Mountains. An incoming storm system brought some big winds from the south and even at ground level (at 700 feet or so), these phlox were flying. WIND BLOWN — Plenty of wind at ground level when you grow at 700 feet.